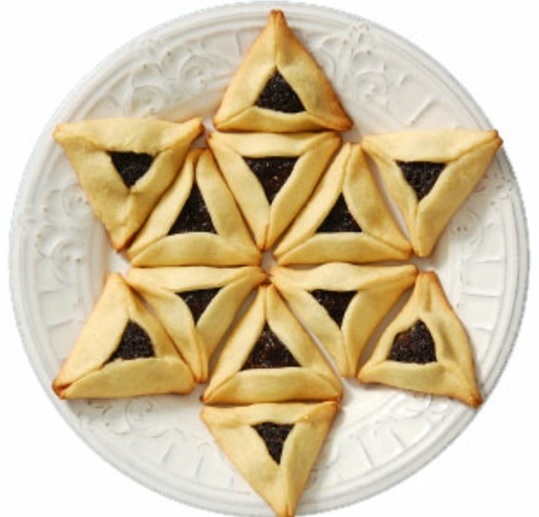 Did you know this weekend is the celebration of Purim? The Festival of Purim, commemorated by Jews every year, tells the story of an attempt thousands of years ago to annihilate the Jews. Sound familiar? The story behind Purim is found in the Book of Esther in the Bible, which records how God used a man named Mordechai and his niece, Esther, married to the Persian King Ahasuerus, to thwart a plan to kill every Jew — from the youngest to the oldest — scattered throughout the 127 provinces of the Persian Empire. We began celebrating Purim as a family when we were using My Father’s World 1st Grade curriculum. Last year, I kinda threw it together at the last minute and we just watched One Night with the King. Great movie, by the way, though there are a few scenes that are a little intense! 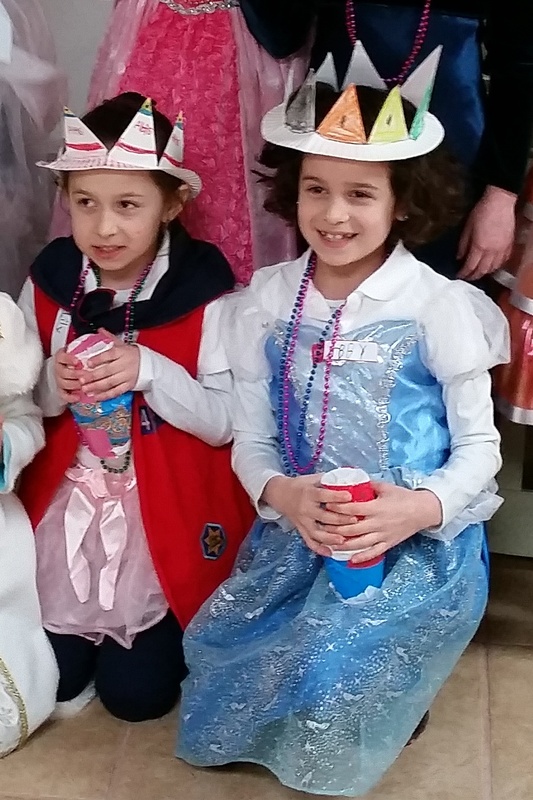 This year, we decided we’d celebrate Purim with our brand new American Heritage Girls troop, and we had a blast! I think we might have started a new annual tradition! I have to be honest, I don’t really have much time to plan things nowadays. Pinterest has been a godsend to me, really. I can do tons of research in just minutes, because everyone else has already done the work – I just need to view their pins and pick the things I like! 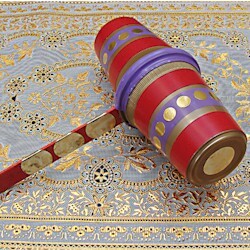 First, we made a “Gragger” noisemaker to drown out Haman’s name! I did not use a paint stick- we just put beans in cups, and then I gave the girls rolls of decorative duct-tape (leftover from a birthday part craft last year), to cover the cups with. 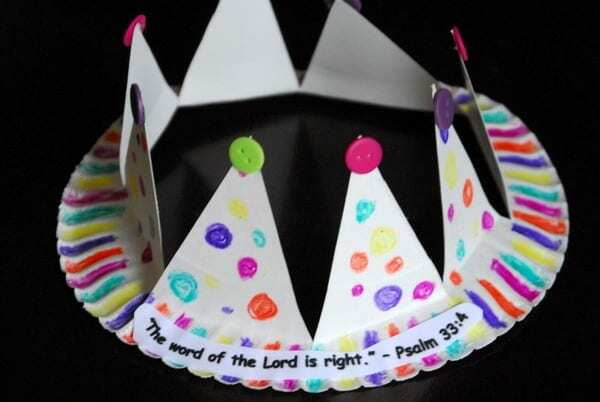 Then we made Paper Plate Crowns. We had the plates pre-cut for them, so the girls could decorate them more quickly. Once the girls had completed their crafts, they then dressed up! We all brought in princess-type costumes, and the girls had a blast sharing clothes (ahh, yes, it has begun already) and dressing up like Princess Esther! As an added bonus, I had recently cleaned out the girls’ playroom and was able to gift each girl with several Mardi Gras bead necklaces, because all Princesses need beautiful jewelry, right??? Once they were dressed we assembled and sat in our “ceremony area” once again, and we all tried Hamentaschen cookies (a Purim tradition). I was able to get these at Costco, hallelujah, but you can also check your local bakery or make your own! We then watched two short videos about Purim! I learned quickly that we needed to be ready with “extra” activities to keep these girls busy! So here are some coloring pages and other activities I found to share! I really love celebrating this story each year. It seems like every year we all learn something new and get something awesome out of it. Plus, it’s a fabulous female role model for our girls! Today I’m so thankful for American Heritage Girls. We started our girls in a local troop this fall, and they are loving it. Even my youngest, who is insanely shy. Right now we have a Pathfinder (kindergarten) and a Tenderheart (elementary). They love looking up to the bigger teenage girls, participating in all the activities, and strategizing on how they can get all the badges. I love how they are learning all these different activities that I don’t have to deal with teaching now (last night the oldest was working on her fire safety badge – so happy that someone else is teaching that, as I’d be saying “See, this is what you’re not supposed to do!). I love how they are making friends, that this is helping my youngest come ever-so-slightly out of her shell, and that it’s a wonderfully supportive, caring atmosphere. I didn’t grow up with “scouting” myself, so this is all a new experience for me. I’m so thankful that it is becoming a positive experience for them, as well!